Is you water bill higher than usual? Are your toilets randomly draining? Do you have unexplained puddles of water on your property? Mold or mildew on your ceiling or walls? You probably have a leak! We can help with all of your Woodstock and Roswell water leak problems, from leak detection to leak repair! Polybutylene water lines were installed and used extensively from the 70s to the 90s in Georgia. What was at first seen as a less expensive durable alternative for water supply lines has since become one of the biggest headaches for Georgia homeowners. A class action settlement has long since expired and homeowners are now faced with the added expense of replacing a portion or all of their water lines due to problems with the piping cracking or leaking. If you have a polybutylene water leak, there is a good chance other leaks will start showing up as well as time goes on. At some point many homeowners have realized it's probably less expensive and more efficient to just have all the polybutylene pipes replaced. If you are experiencing high water bills and have no clear evidence of a water leak, you should have it investigated by our professional staff that is experienced dealing with all types of leaks. 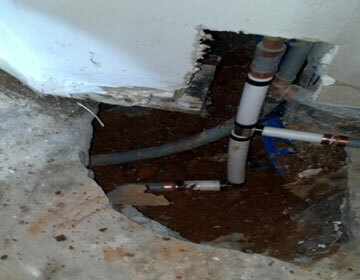 Over the years we have repaired and replaced many water lines in the Atlanta metro area. This is the type of plumbing problem you don't want to ignore or leave in inexperienced hands to solve. If you suspect a leak, don't panic, just get it checked out. If could be a minor toilet leak that has gone unnoticed or a even a leaky faucet. The more difficult leaks are those below a concrete slab, behind a wall or under a driveway. These type of leaks should be investigated by a professional licensed plumber who is also experienced in leak detection. The bottom line is don't wait. Water leaks can get worse and cause additional damage costing you even more later. Water damage can happen very slowly until it shows up as mold or water stains or sink holes. Call us today if you suspect you might have a plumbing leak. Find your leaks and get them fixed with our professional Woodstock and Roswell leak detection and repair services - call today 770-663-0600. 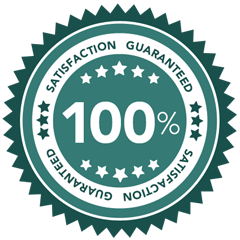 Proudly offering water leak services in Roswell and Woodstock, GA as well as Atlanta GA, Sandy Springs GA, Johns Creek GA, Alpharetta GA, Marietta GA, Smyrna GA, Dunwoody GA, Brookhaven GA, Mableton GA, Peachtree Corners GA, East Point GA, Milton GA, Douglasville GA, Kennesaw GA, Lawrenceville GA, Tucker GA, Duluth GA, Canton GA, and surrounding areas.